A compact informal settlement in Primrose, Germiston, Makause houses the poorest of the poor and unemployed, who have nowhere else to go. Their living conditions are desperate, but became more so when a woman poured petrol over herself and set her body aflame. The blaze raged through 18 dwellings, taking what little the people there had. Insult was added to injury by the way Ekurhuleni Metropolitan Municipality responded to the disaster. By MANDY DE WAAL. The two voices were raised so loudly on the morning of Saturday 13 October that everyone nearby in the informal settlement could hear the screaming. But overhearing the argument wasn’t difficult; in Makause settlement in Primrose, Germiston the shacks are wedged right up against each other. Space is at such premium there that you can’t even slide a hand between most dwellings. The man had had enough. He packed his bag and walked out the shack, leaving the woman behind. She was hysterical and dragged a generator into her home. She had a lighter, and – it appeared to onlookers – she wanted to use it. “When the man left, the lady started to show signs of trying to commit suicide. She took a generator and a cigarette lighter to set the shack alight,” eyewitness Eric Ndlovu told Daily Maverick at the scene. 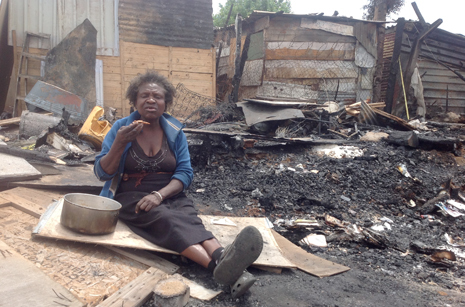 The subsequent shack fire razed 18 dwellings, leaving about as many families homeless. 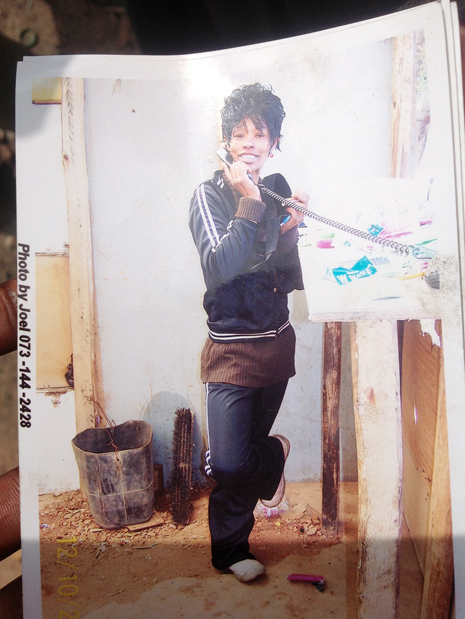 “Some men came and tried to stop the lady from doing that, but the lady found a way of sending them away.” She asked the men to buy her airtime from the tuck shop in the settlement so that she could talk to her family. “That is when she got the chance to use the petrol in the generator and start the fire,” Ndlovu said. The men came back to hear agonised screams coming from inside the shack. “The fire had already started and nobody could risk going inside to extinguish the fire. Even I tried but it was a no go. It was too dangerous,” he said. Watch: General Alfred Moyo speaks at the scene of Saturday’s shack fire about the government’s failure to supply adequate aid. The community told Daily Maverick that the fire engine – situated across the road from the settlement – took twenty minutes to reach the scene of the unfolding disaster. When it did, they say it arrived with only a few litres of water. “After ten minutes they had run out of water and the fire still continued. It was really difficult, really terrible,” Ndlovu added. When Daily Maverick phoned the local municipality to find out why there’d been such an inadequate response, Ekurhuleni Disaster and Emergency Management spokesperson William Ntladi said the claim that the fire engine didn’t have enough water was nonsense. “It is not that we didn’t have enough water. The informal settlement… well, we know how clustered it is. The heavy vehicle couldn’t go deep inside, so we had to send a small vehicle and relay the water into the smaller vehicle to reach the fire. 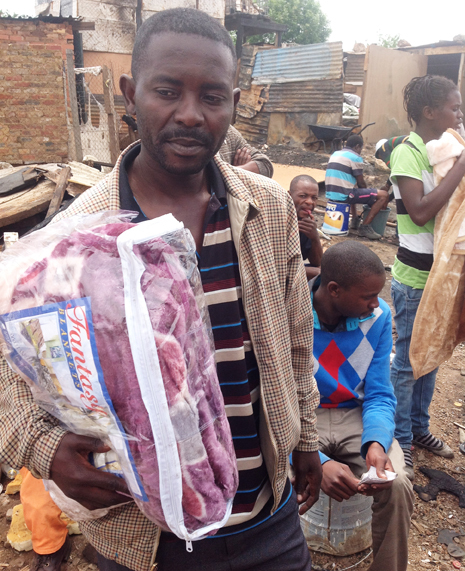 The streets in between the shacks are very narrow and don’t accommodate the bigger vehicle,” Ntladi explained. This journalist explained to Ntladi that she stood at the scene of the fire and that the area was alongside the tar road, and nowhere near the inner locale of the settlement. “I was off duty, I just heard about it,” Ntladi confessed and referred the query to Rogers Mamaila, also with Ekurhuleni emergency services. Mamaila said the fire engines carry 4,000 litres on board, which get discharged at 400 litres per minute. “It is not an endless supply. The supply is only for one delivery, and it depends on the crew to see how many deliveries are required. “That informal settlement may not have fire hydrants to replenish the trucks,” he said, adding that when the emergency services arrived the eighteen shacks had already been burnt, but that the crew managed to save the others. “Ekhuruleni have trained CERT (Community Emergency Response) members, who are trained to deal with own fires prior to our arrival. We went into that same informal settlement house-to-house and educated people on how to prevent fires. A month ago a man died in that same informal settlement and they blamed us for not responding quickly enough. We have said they must walk or run to us, and in the meantime make use of the CERT members who are trained on advanced fire fighting. There are four CERTs in attendance there,” said Mamaila. Makause is a compact settlement that the local government says is home to close on 30,000 people. “From the municipality’s side we have done everything we could have done. The method in which those people have built that informal settlement is wrong. 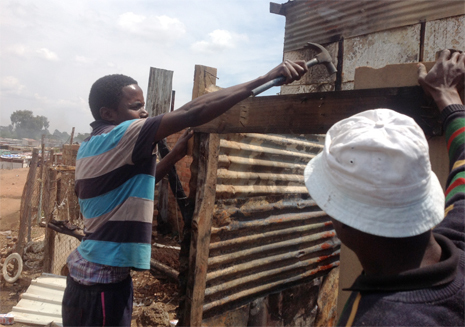 When they build shacks they must leave a space of between five to six metres but they say there is no space,” Mamaila said, and explained that it was the compact nature of the informal settlement that made the outbreak of fires such a disaster. For twelve-year-old Mahlatse Tomolo, the explanations were academic. All she cared about was the fact that she had no uniform to wear to school and had lost all her books to the fire. “I came back at four or five in the afternoon and I saw the ambulance and the people who work with the fire. Everything was burnt. My clothing… my school uniform… everything was gone. All I have left with is the clothes I have on. Even my school books are burnt. I feel bad because we have nowhere to go to. This is my home. We need help to rebuild our shack,” the young girl said. “When I woke up I found… well… it was terrible. I took some buckets of water and poured on the other side of my room so that it doesn’t go further. I climbed on top of the roof and those people who used to assist us they came. 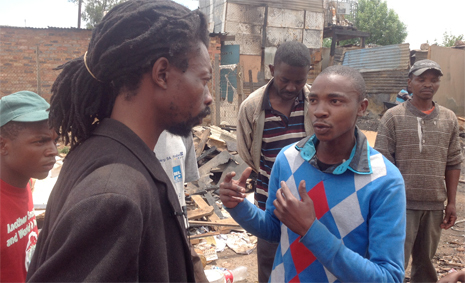 They gave me the pipe with the water and I used it to stop the fire,” the unemployed shack dweller said. Shabangu said the local government promised to help but little assistance was rendered by the time Daily Maverick was on the scene, two days after the fire. “Since they promised (local government) – they are still promising but nothing happened. I am sleeping around here on the ground,” he said, pointing to blackened ground adjacent a rubbish dump where people forage for plastic bottles, glass and scrap tin to sell. “We have to make fire and sleep near the fire. It has been cold and I just hold my child in my arms. 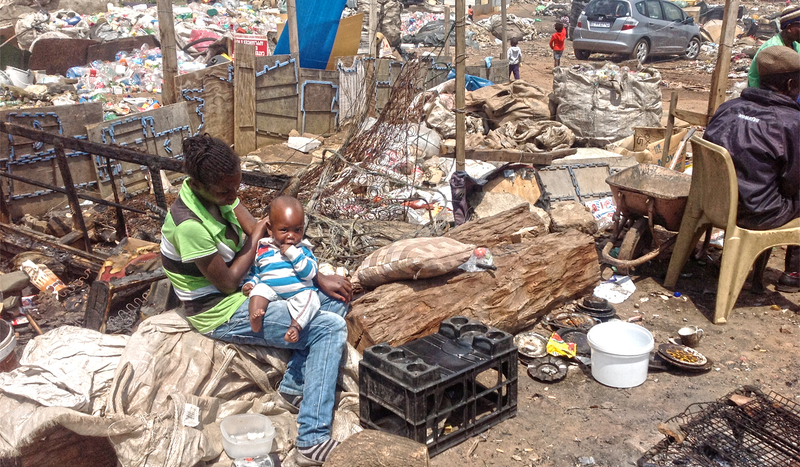 We have no place to sleep so this is what I must do,” Shabangu said, shaking his head while his wife scoured through the debris with her two-year-old child tied to her back. Shabangu has two children. These people, who are in a desperate predicament, told Daily Maverick that all they’d received from local government was one blanket per family as a means of disaster relief. Ekurhuleni Metropolitan Municipality’s Aubrey Mokgosi points fingers at “outsourced suppliers” for the delay. “I heard about this fire only last night (Sunday) about midnight and only this morning we asked our service provider to go and do a survey and give us a quotation. We have now asked our service provider to help with rebuilding the shacks. I am not too sure if they have been on site or are preparing to do so,” Mokgosi said. When asked who the service provider was, Mokgosi said they were the ‘Red Ants’ – which is an awful irony. Private security guards who got their name because of the bright red overalls they wear, the ‘Red Ants’ are notorious in Gauteng because of the brutal way they evict tenants and demolish shacks. They are often used by local government who don’t want to lose votes, and are especially feared in Johannesburg’s inner city where they evict the poor with impunity. “The government seems to be promising but it doesn’t provide us. You must vote for the government but then the government doesn’t assist us. I told myself: ‘Why should I have to vote?’ I do vote but get nothing,” said a dejected Shabangu, who faces another night of sleeping in the dirt with his baby girl in his arms, his wife and other child huddled around a fire in a sprawling settlement that is not without criminal elements.